St. Louis & Carlton County chapter of Pheasants Forever is proud to help two local athletes - Nick Learn and Sami Learn - reach their dream of competing at the Junior Olympics, in Colorado Springs, CO.
Nick Learn and Sami Learn have both qualified to compete at the Junior Olympics. Because of their dedication, hard work, and all of the support from their family, we were honored to donate $750.00 to these two local youths, in order to help with expenses incurred with their outstanding achievements. Both Nick and Sami are members of the Superior Junior Rifle Team, based in Superior, WI. This team, grows from the Superior Junior Rifle Club, which is open to area youths from all over the Northland. The club and team both practice at the indoor range at UWS. Please find them at www.superiorshooting.com. 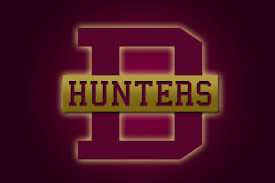 The St. Louis/Carlton County chapter of Pheasants Forever, based in Duluth, MN, in partnership with the MidwayUSA Foundation and generous donors to the Duluth Denfeld High School Trap Team, has raised $8,000.00 for the Denfled High School Trapshooting Team’s foundation endowment account. Pheasants Forever and the MidwayUSA Foundation have partnered to create an endowment account that provides financial support for local youth shooting sports teams and clubs. This account not only helps immediate funding needs, but establishes a constant revenue source for the life of the team/club - potentially eliminating any cost to the school and the participant athletes. 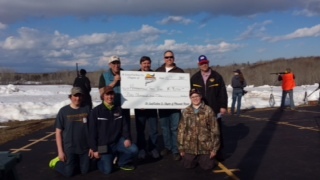 The St. Louis/Carlton County chapter of Pheasants Forever, sponsored a fundraiser to support th Superior Junior Rifle Team, based in Superior, WI. The fundraiser raised $3,000.00 for the team. The St. Louis/Carlton County chapter of Pheasants Forever, based in Duluth, MN, in partnership with the MidwayUSA Foundation and the Procotor High School Trap Team, has raised $5,700.00 for the Proctor High School Trapshooting Team’s foundation endowment account. The local Pheasants Forever chapter, along with Duluth East High School students, have teamed up to create a pollinator habitat between the school and the Lakewalk. A pollinator habitat is an area with plants and other environmental aspects that attracts pollinators like butterflies. The one at East High School is designed for the specific site and will be beautify the area as well as serve as a learning tool for the students. St. Louis/Carlton County Pheasants Forever donated a total of $5,845.00 to fund this habitat project, including a 3 year maintenance plan to ensure it's long term success. "This location will be designed to favor the attraction, survival and reproduction of pollinators, as well as providing a monarch weigh station along the butterfly's migration path," said David Lood, youth director of Pheasants Forever of St. Louis/Carlton County. Pheasants Forever of St. Louis & Carlton County partnered with Duluth East High School’s “Green Club” and Agriculture/Natural Resources students to create a pollinator habitat between the Lakewalk and the school parking lot, continuing along 40th Avenue East. There will be a ceremonial groundbreaking to be held at the pollinator site, on the southeast corner of school’s main parking lot, Thursday, September 18th, at 4:00 PM. The groundbreaking will be open to the public, and project experts will be on hand to answer any questions. This pollinator project establishes a long-term ecologically sound landscape that is adapted to the specific site and will add distinctive aesthetics which will be enjoyed by those using the Duluth Lakewalk, and provides a valuable learning environment for students of Duluth East High School. This location will be designed to favor the attraction, survival, and reproduction of pollinators, as well as providing a Monarch weigh station along the butterfly’s migration path. Pheasants Forever recognizes the importance of a diverse pollinator population and understands the dangerous decline in the pollinator population. The primary cause of pollinator declines is loss of habitat, which this project helps to address. To ensure continued success of the habitat, Pheasants Forever enlisted the experts from Prairie Restorations – Boreal Natives to re-establish the native habitat. Pheasants Forever has also committed to a 3 year maintenance plan with Prairie Restorations – Boreal Natives for the site. 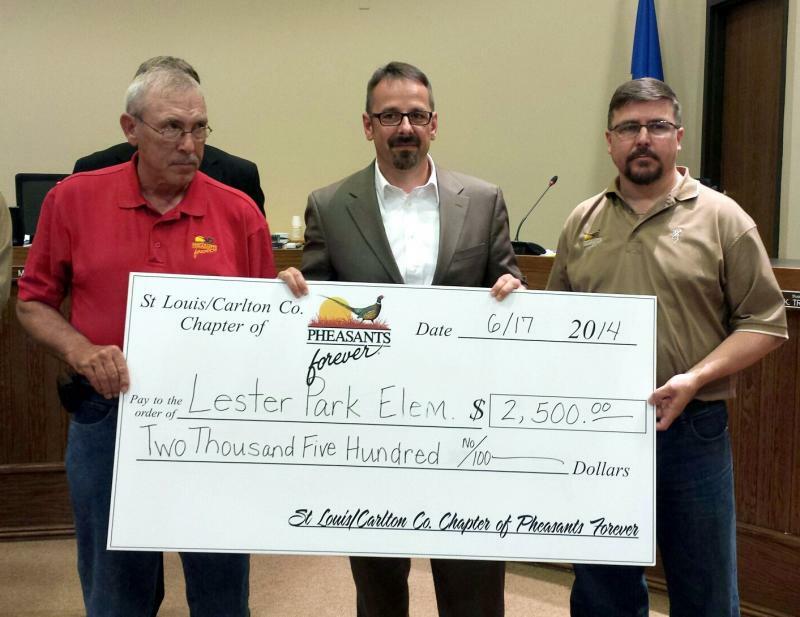 St. Louis/Carlton County chapter of Pheasants Forever donated $2,500.00 to the Lester Park Elementary School in support of a new bridge within their school forest. The engineered bridge will allow safe access to through the school forest for all students, including those with physical limitations. 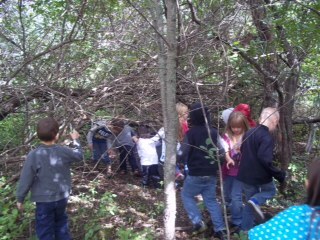 This is the final piece in providing full access to the school forest. 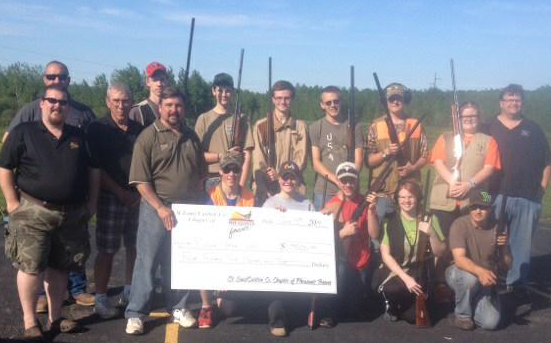 The St. Louis/Carlton County chapter of Pheasants Forever, based in Duluth, MN, in partnership with the MidwayUSA Foundation has contributed $6,000.00 to the Duluth East High School Trapshooting Team’s foundation endowment account. 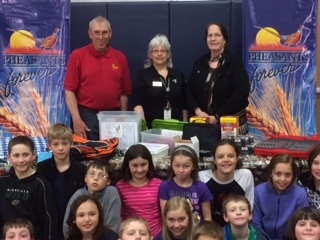 In May, 2014, $2,000.00 worth of equipment and award winning outdoor curriculum was donated to Homecroft Elementary School in order to support the school forest which Pheasants Forever donated in 2013. WIth ever tightening school budgets, Pheasants Forever knows the importance of helping local schools obtain the supplies needed to provide the education our children deserve. The St. Louis/Carlton County chapter of Pheasants Forever, based in Duluth, MN, in partnership with the MidwayUSA Foundation has contributed $9,000.00 to the Hermantown High School Trapshooting Team’s foundation endowment account. Since February of 2013, Pheasants Forever and MidwayUSA Foundation have partnered to contribute a total of $24,000.00 to the Hermantown High School Trap Team's endowment account. 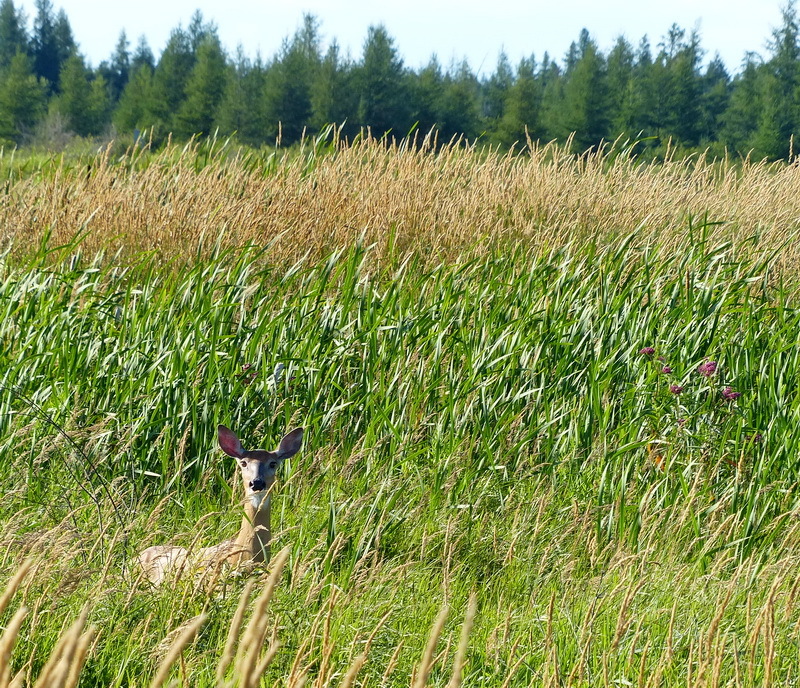 Pheasants Forever of St. Louis/Carlton County was part of a group effort to raise $45,000.00 in additional funding in order purchase the 760 privately owned acres surrounding the Gun Lake WMA in AItkin County, MN. This public access WMA has now grown from the orignal 80 acres to well over 800. This large and relatively close WMA that supports wildlife and birds of all types will now be open for public use and provides an upland area for our local members to enjoy. The pilot program that helped change the face of a nation. 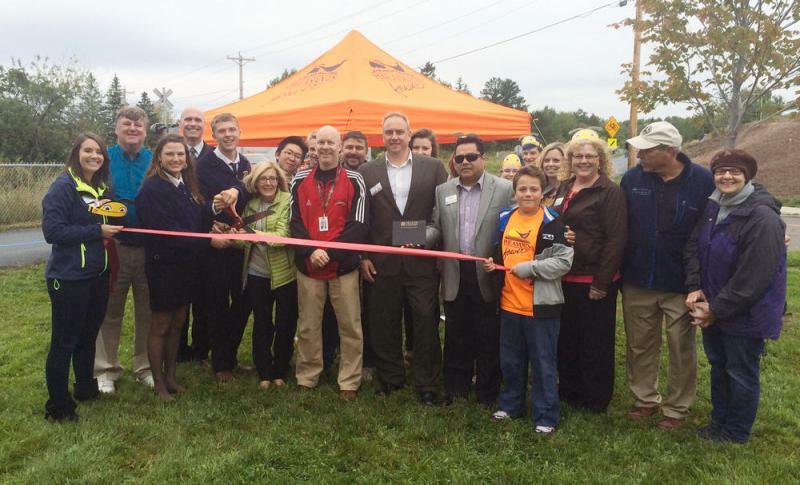 A new approach to community support and the integration of outdoor learning by partnering local schools with local businesses and Pheasants Forever. 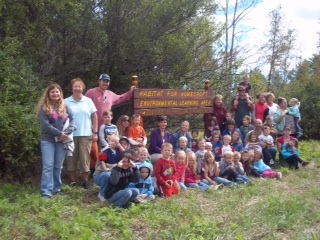 In 2013, Pheasants Forever of St. Louis/Carlton County donated approximately $19.000.00 to the Duluth School District and lead the way to purchase county tax forfeit land in order to create a school forest and outdoor classroom, attached to Homecroft Elementary School. SInce the purchase, Pheasants Forever has helped restore the natural habitat, created walking trails, and is currently building an outdoor classroom.